The hero’s Camelot quest culminates with an impossible decision Emma must make with consequences she amy never be able to come back from, and in Dunbrouch, Merida teams up with Mulan and Ruby on a very personal mission, in a special two-hour “Once Upon a Time,” starting at 8/7c, Sunday, November 15 on ABC. In Camelot, Merlin spearheads a mission to reunite the dagger with Excalibur so he can use the weapon to save Emma from the darkness threatening her soul. With Zelena in tow, Hook, Mary Margaret, David, Regina and Robin steal into Arthur’s castle to take the broken sword from the maniacal king. 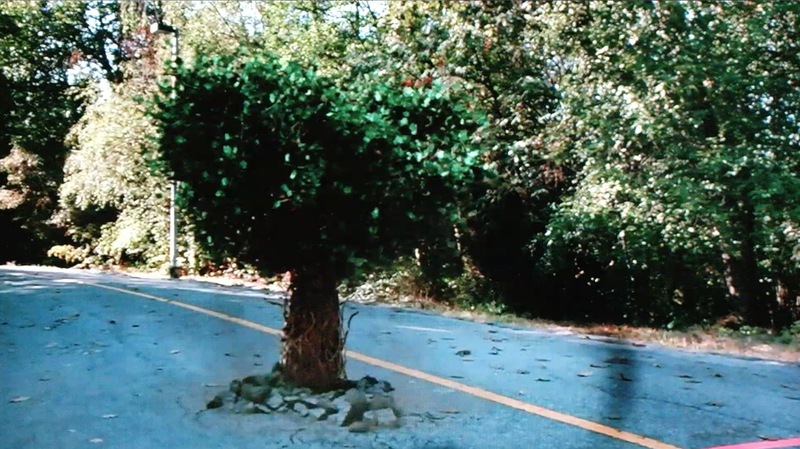 Merlin get’s his heart broken, get’s turned into a tree then get’s released. Henry plans a date, get’s his heart broken, saves the day two more times then get’s his heart broken again. Merida tries to find proper motivation to whip Rumple into shape, Regina witnesses more than one heartbreak and has a heart-to-heart with Miss Swan. It’s a rollercoaster of a ride and even though the episode is named “Dreamcatcher” i think a more appropriate title is “Heartbreaker” because there are plenty to go around. 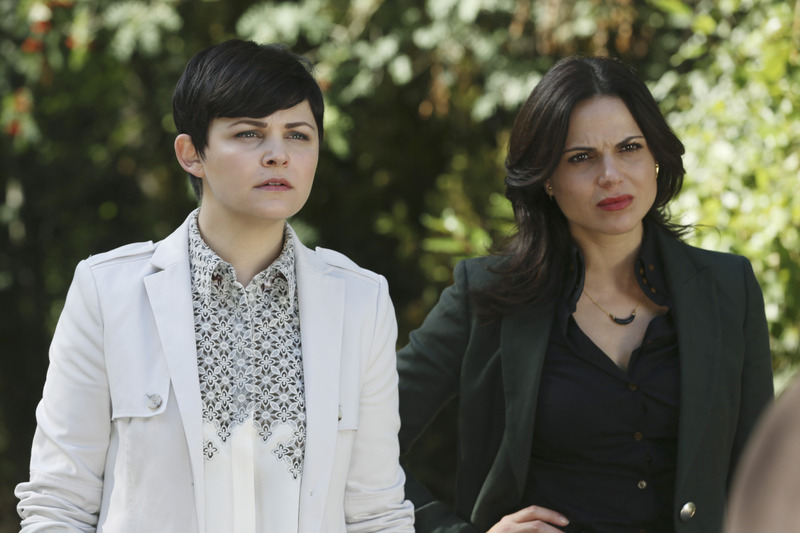 Emma and Regina formulate a plan to free Merlin but find they are missing a key ingredient that is both precious and painfully required. 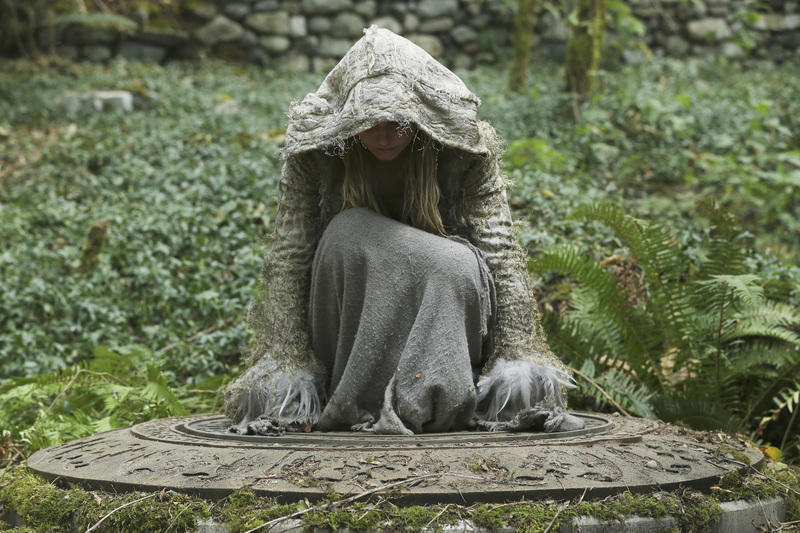 In Camelot, as Mary Margaret and David attempt to retrieve the Dark One dagger, Emma uses a dreamcatcher to look into the past to see how Merlin was transformed into a tree. Together, Emma and Regina figure out the critical ingredient they must acquire to free Merlin, but it’s a race against Arthur, who does not want Merlin released. Meanwhile, with encouragement from his moms, Henry musters up the courage to ask Violet on a date. Back in Storybrooke, the heroes break into Emma’s house hoping to locate Gold, but what they find will give them a glimpse of Emma’s end game. 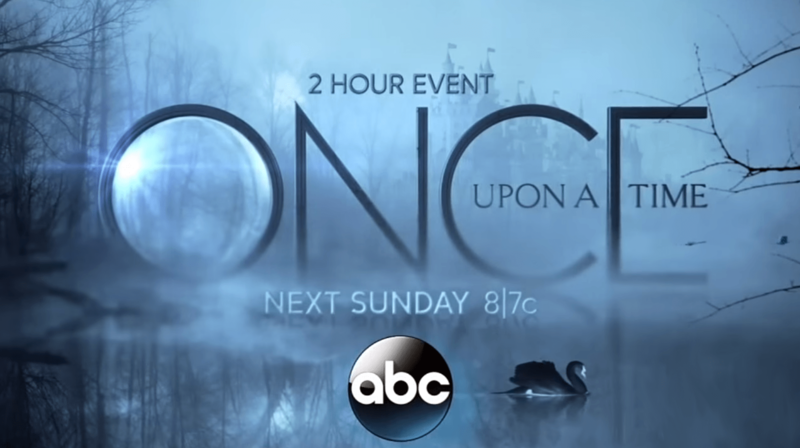 Far from prying eyes, Merida sets about the mission Emma has tasked her with and begins molding Gold into the hero they need to draw Excalibur, on “Once Upon a Time,” SUNDAY, OCTOBER 25 (8:00-9:00 p.m., ET) on the ABC Television Network. After a failed attempt to pull Excalibur from the stone Emma embarks on a new plan to snuff out the light. She pays the dwarves a little visit to borrow an ax expecting it will break the sword free of its stone encasement. But this is magic, dark magic and even though Emma is new to the Dark One game shouldn’t she know that an ax used by the dwarves can’t stand up to dark magic? Apparently not because she tries and fails to make a dent in that giant rock. The fans came out in full force to support their favorite fair tale show and catch a glimpse of the one and only Dark Swan at this years New York Comic Con panel for ABC’s hit series Once Upon a Time. Executive Producers Adam Horowitz and Eddy Kitsis were joined by star Jennifer Morrison to debut an early screening of this Sunday’s episode “Siege Perilous” and to tease a little about what we can expect throughout the rest of Season 5. 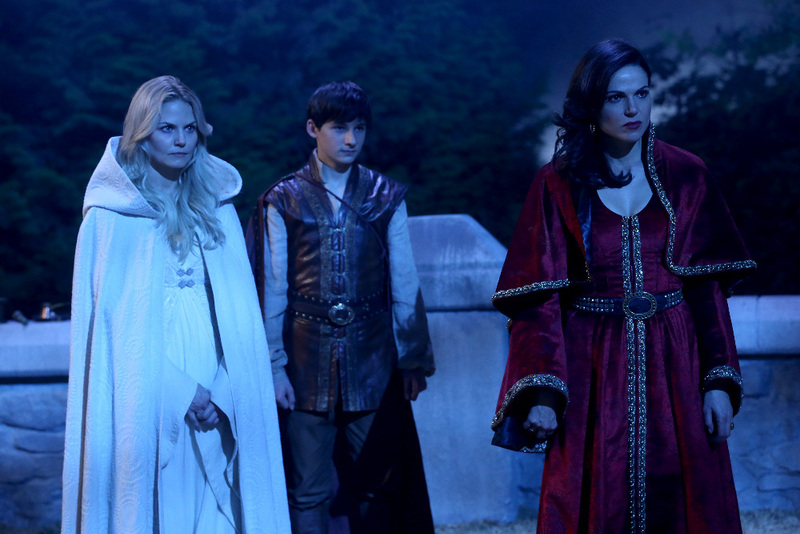 The residents of Storybrooke have returned from Camelot and are anxious to get their memories back revealing what took place during their six week adventure. The dwarves, lead by Grumpy, head to the town line to test its limitations trying to make an escape from Storybrooke fearing Emma’s wrath as the new Dark One. Poor Dopey is the silent guinea pig who is nominated by Grumpy to cross the line only to be stopped by Mary Margaret, David and Regina. Insisting they are no match for Emma since she was a driving force on the side of good and knows how their playbook against their enemies, Grumpy convinces Dopey to move forward with their plan. What seems like a positive step to escaping the latest curse quickly turns hairy or should I say leafy…Dopey is magically turned into a tree. I don’t know why there is a town line at this point if there’s going to be such strong magic on the other side of it in a land supposedly with no magic. 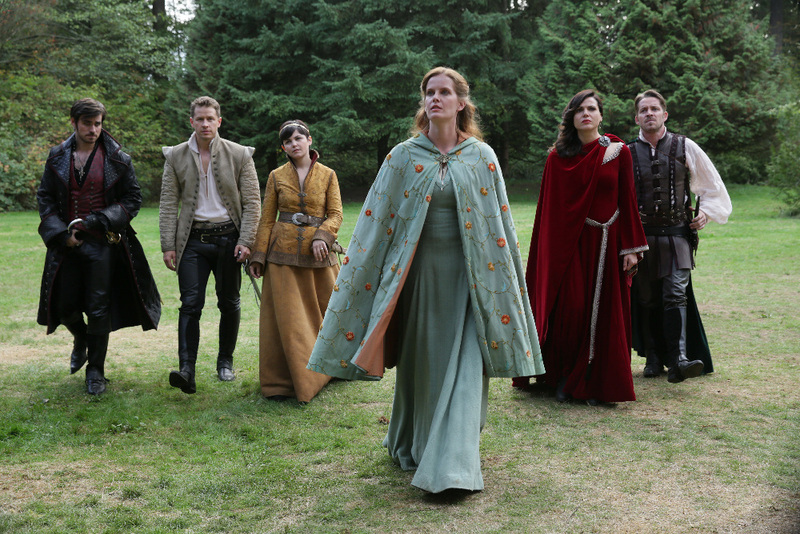 Once Upon a Time Season 5 has begun! 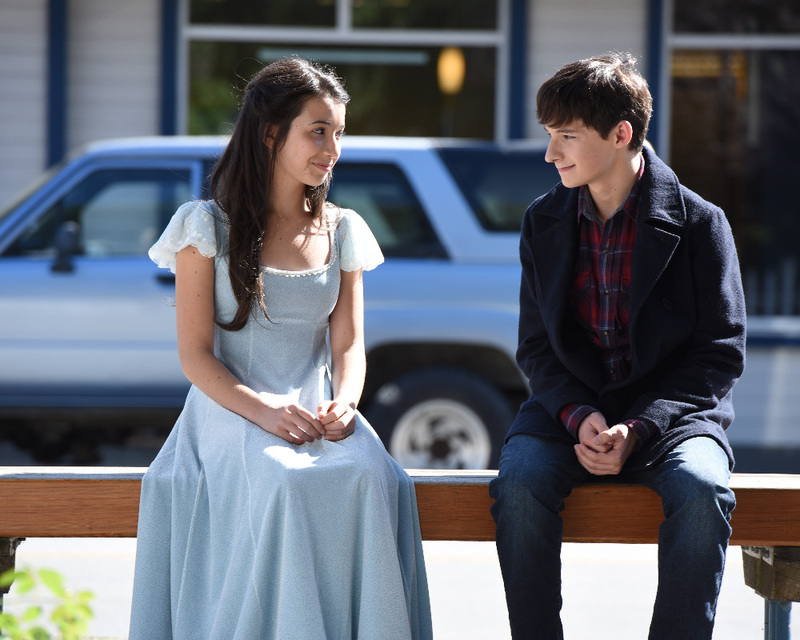 We find our favorite fairy tale characters back in Storybrooke right where we left off at the end of Season 4. Emma has just sacrificed herself to save Regina from the darkness securing her place as the new Dark One. But where did Emma go? How does Camelot come in to play this season? How badass is Merida? These questions and so much more are answered in the season premiere! Anaheim brace yourself! 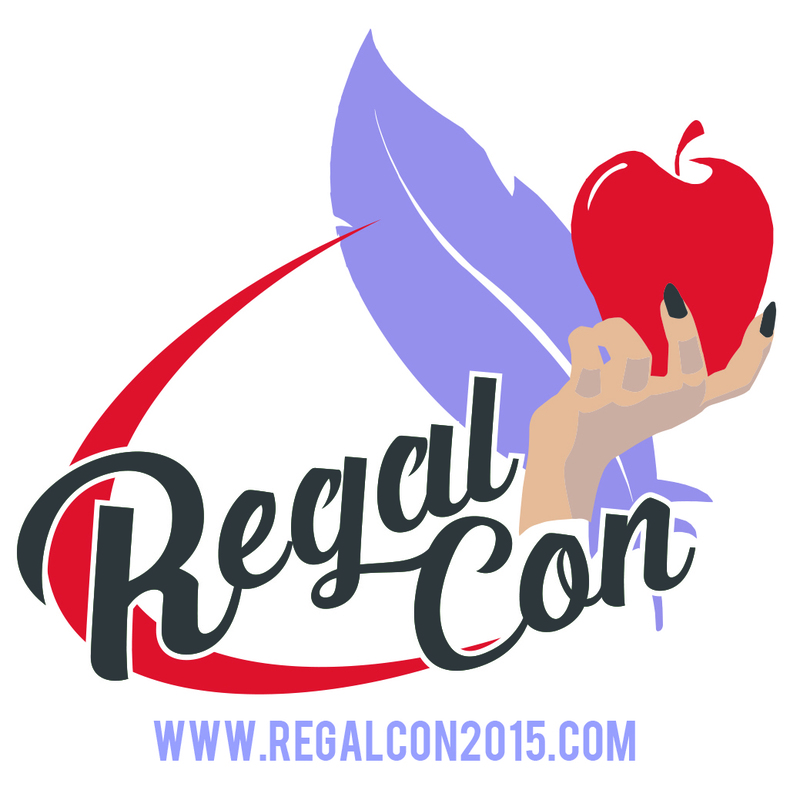 Fans of the hit ABC series “Once Upon a Time” are headed your way May 8-10 in the first ever Regal Con fan convention. Your favorite stars such as Lana Parrilla (Evil Queen/Regina Mills), Rebecca Mader (Zelena/Wicked Witch) and Emilie de Ravin (Belle) just to name a few, are set to make an appearance with Q&A sessions, photo ops and VIP mixers not to mention a concert from rock group 45 Spacer where they will debut their latest tracks. Ticket prices and convention detail after the jump!